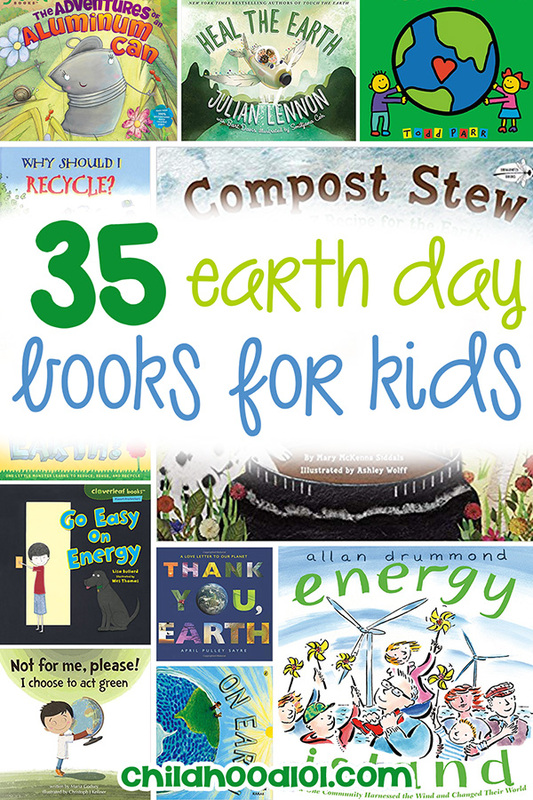 35 Earth Day Picture Books for Super Kids Who Want To Save the World! 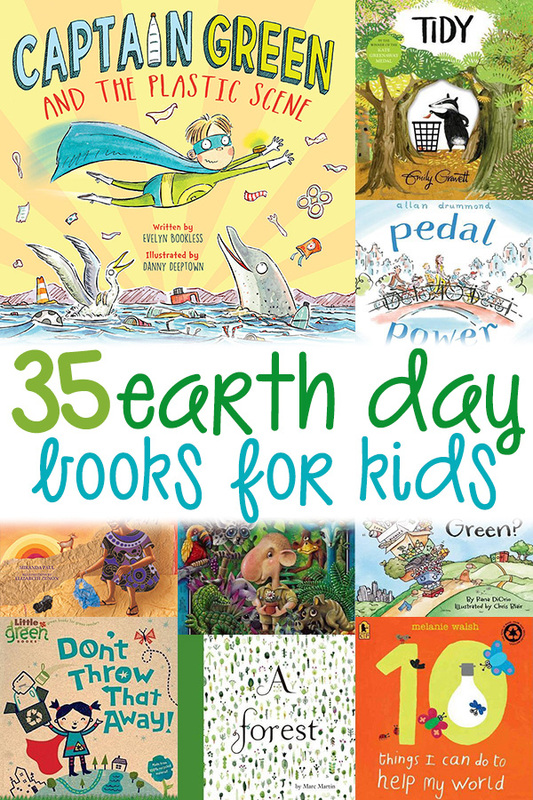 Inside: A great big list of Earth Day picture books – includes fiction and non-fiction titles. Earth Day on April 22nd provides the perfect occasion for talking with children about all sorts of different ways they can help contribute to caring for our planet. This list includes all of our favourite Earth Day picture books, including both fictional stories and non-fiction informational texts that provide lots of interesting informational text for inspiring children to learn more about the earth. These books cover a range of conservation themes – with everything from recycling to using alternative power sources to composting! There really are many ways children and families can have a positive impact upon the earth and our natural resources. I am sure you will find a new book to love on this list! Like all of the books in our Best Books for Kids collection, each book on this Earth Day book list is linked to both Amazon and The Book Depository (these are affiliate links) where you can find reviews and age recommendations for any titles you are not familiar with. 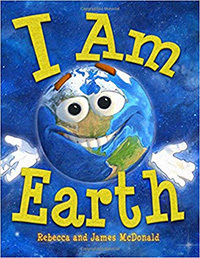 I Am Earth by Rebecca and James McDonald: A perfect introduction to Earth Day for kids! Kids will love learning about what makes the Earth special and how we can work together to take care of it. 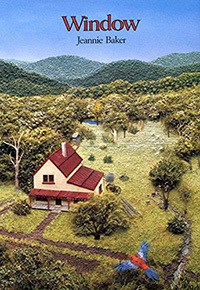 A great pick for little ones new to Earth Day. I Can Save the Earth! by Alison Inches: What’s more fun than a little green monster? 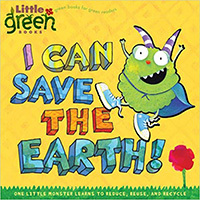 A little green monster who wants to help save the Earth, of course! Follow along with this fun guy as he learns to recycle, reuse, and reduce waste to help the planet Earth. 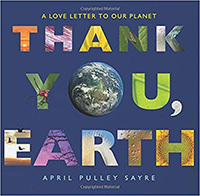 Thank You, Earth by April Pulley Sayre: In this love letter to Earth, kids will learn to appreciate the beauty in our planet. It introduces concepts in science, nature, geography, biology, poetry, and community. 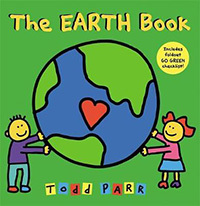 The Earth Book by Todd Parr: In distinct Todd Parr style, The Earth Book inspires children with simple ideas for protecting the Earth, who in turn will protect us too! 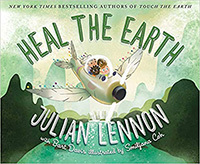 Heal the Earth by Julian Lennon: Help heal the Earth in this wonderful story about making the world a better place. The illustrations in this book are beautiful and captivating for kids of all ages. 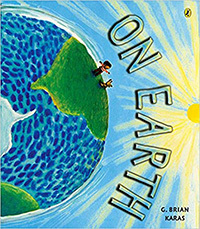 On Earth by G. Brian Karas: This book is beautifully illustrated, with facts shared in a way that is easy for children to understand and relate to. Kids will love learning about the Earth and all that it is capable of. 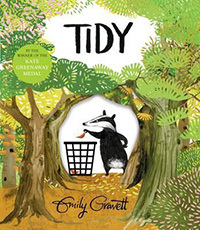 Tidy by Emily Gravett: Pete the badger likes everything to be neat and tidy at all times, but what starts as the collecting of one fallen leaf escalates and ends with the complete destruction of the forest! Window by Jeannie Baker: A beautiful wordless picture book that shows changes through a window over a series of years as land is cleared to make way for housing. 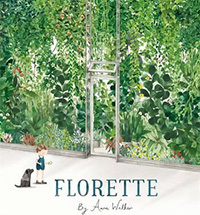 Florette by Anna Walker: When Mae’s family moves to the city she wishes she could bring her garden with her. But there’s no room for a garden in the city. Or is there? 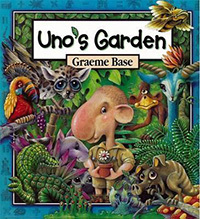 Uno’s Garden by Graeme Base: A beautiful story for engaging children aged 5+ with the environmental impact of land development. 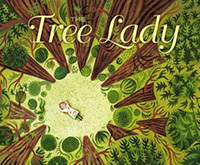 The Tree Lady: The True Story of How One Tree Loving Woman Changed a City Forever by H. Joseph Hopkins is the story of pioneer, scientist and activist, Kate Sessions, who helped San Diego grow from a dry desert town into a lush, leafy city. 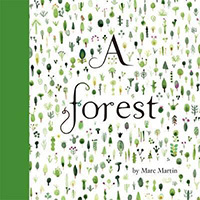 A Forest by Marc Martin: A simple story with captivating pictures about a forest being destroyed by humans and their green, and then growing again through human care. Captain Green and the Plastic Scene by Evelyn Bookless: Fresh from Superhero School, Captain Green gets a call – Dolphin is tangled up in plastic! 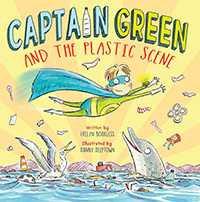 When he rushes off to help, Captain Green finds himself on a major mission- saving sea creatures from plastic. Can Captain Green clean up this mess for good? Not for Me, Please! : I Choose to Act Green by Maria Godsey: Follow along with Luke as he takes us on his journey of making the environment cleaner! 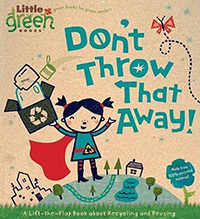 In this engaging book, kids will learn all about what it takes to clean up the world around them. 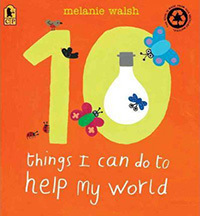 10 Things I Can Do to Help My World by Melanie Walsh: Do you remember to turn off the tap while you brush your teeth? How about using both sides of the paper when writing and drawing? Bold illustrations and die-cut pages will draw in young listeners with easy, everyday ways to be kinder to the earth. 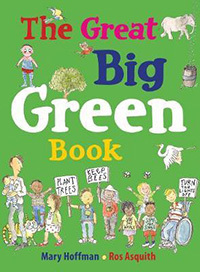 The Great Big Green Book by Mary Hoffman: Interspersed with lots of interesting facts about life on our planet, The Great Big Green Book also includes action plans of ideas to help save the Earth, including ideas for saving water and energy, recycling, growing seasonal food, saving on packing and thinking of new inventions and big ideas! 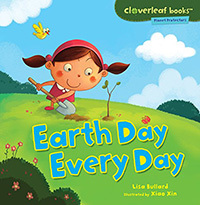 Earth Day Every Day by Lisa Bullard: In this very informative, beautiful, and engaging book, kids will learn all about Earth Day. 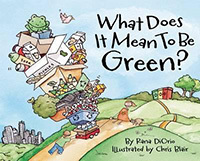 Discover how to reduce, reuse, recycle, and more in this book encouraging kids to do their part on Earth Day. 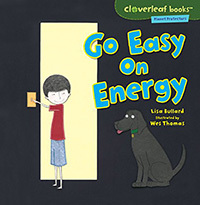 Go Easy on Energy by Lisa Bullard: Even adults will learn something new about electricity in this informative book. It teaches all kinds of interesting facts about electricity – including how it can make our Earth dirty. 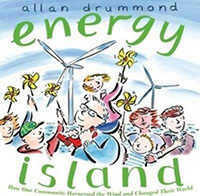 Energy Island: How One Community Harnessed the Wind and Changed Their World by Allan Drummond: It’s windy on the Danish island of Samso, and it’s citizens have accomplished something quite extraordinary-in just ten years they have almost completely energy independent – thanks to the power of the wind. 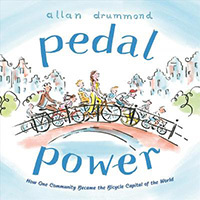 Pedal Power: How One Community Became the Bicycle Capital of the World by Allan Drummond: Fifty years ago, Amsterdam was so crowded with vehicles that bicyclists could hardly move but mums and kids relied on their bikes to get from place to place. What could they do? Their actions made Amsterdam the bicycle capital of the world! 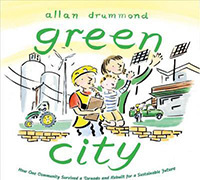 Green City: How One Community Survived a Tornado and Rebuilt for a Sustainable Future by Allan Drummond: In 2007, a tornado destroyed Greensburg, Kansas, and when it was time to rebuild the residents decided to build a very special town – one that could not only survive another storm, but was also built in an environmentally sustainable way. 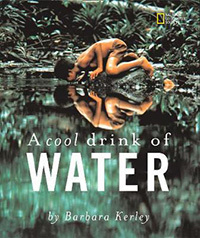 A Cool Drink of Water by Barbara Kerley: People all around the world need water. Through beautiful photographs and poetic prose children can learn how how people in a variety of cultures use and conserve the world’s most vital resource. 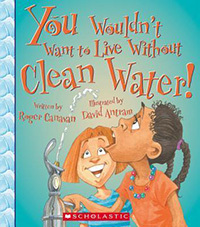 You Wouldn’t Want to Live Without Clean Water by Roger Canavan: Imagine life without clean water! Describes how people access water and the importance of making sure that water is not polluted or wasted. Why Should I Save Water? by Jen Green: It’s easy to take access to clean water for granted. 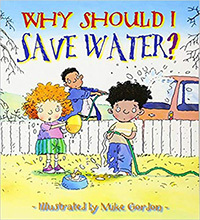 In this book, kids will learn exactly why they should save water as well as how to be mindful of how much they use. It’s a great introduction to saving water where you can. 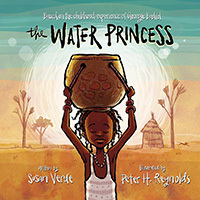 The Water Princess by Susan Verde: Based on real life experiences of life in an African village, a young girl shares her daily struggle with collecting and boiling water for her family to drink, and her dream of a clean water source for her village. Where Do Garbage Trucks Go? 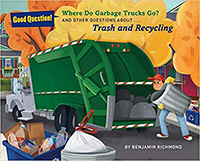 by Ben Richmond: This is a great book all about waste. Follow along to learn where garbage trucks go, what a landfill is, why we should recycle, and so much more. Where Does the Garbage Go? 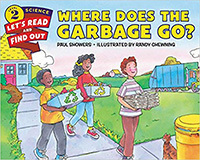 by Paul Showers: Another exploration of the journey our trash takes with lots of instructional diagrams and great illustrations, kids are sure to learn lots of new things about trash! 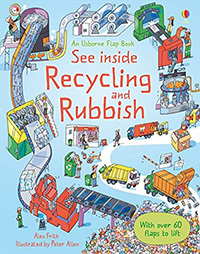 See Inside Recycling and Rubbish by Alex Frith: Follow rubbish on a journey from the bin to the sorting factories and recycling centres. Over 60 flaps to lift to find how glass, metal, plastics and paper are recycled and what happens to rubbish that can’t be recycled. Why Should I Recycle? 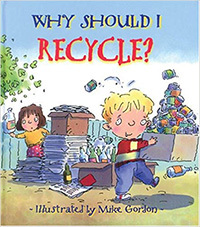 by Jen Green: Kids’ curious minds will love reading this story in response t the question of why we should recycle. By the end, kids will be rushing to find everything they can to recycle. 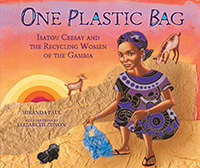 One Plastic Bag: Isatou Ceesay and the Recycling Women of Gambia by Miranda Paul: The inspiring story of how one African woman began a movement to recycle the broken plastic bags that were polluting her community. 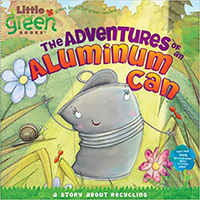 The Adventures of an Aluminum Can by Alison Inches: Follow along on this fun adventure as we watch an aluminum can go through many cycles before turning into a baseball bat. This story will engage and excite with such a unique twist on recycling. 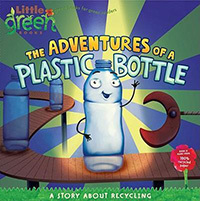 The Adventures of a Plastic Bottle by Alison Inches: The diary of a plastic bottle as it goes on a journey from the refinery plant, to the manufacturing line, to the store shelf, to a garbage can, and finally to a recycling plant where it emerges with a brand new life. 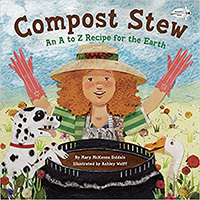 Compost Stew by Mary McKenna Siddals: Composting is becoming more and more popular. Kids will love learning what it takes to start one, what to include, and why it’s so good for our Earth! 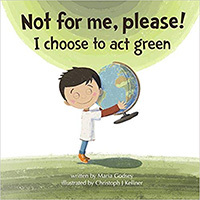 For more books like these Earth Day picture books, be sure to check out our big lists of Ocean Books for Kids and Frog Books for Kids.